“IF it’s not homemade it’s not from the heart.” Sound familiar? The creative mum, like creativity, comes in all sorts – maybe you’ve never needed a store-bought jumper; mum’s busy working on her manuscript or painting a feature wall; or your lunch looks like abstract art. A creative mum would prefer a Mother’s Day poem to the latest fragrance. 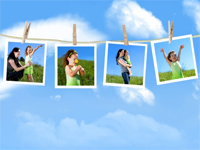 Digital prints: Update a family photo album or create a family collage/scrapbook with photos and accessories from home. 15c digital prints (6" x 4") are available from BIG W and Officeworks online stores. The Body Shop Carrot Moisture Cream: Getting creative with skincare with this rich, moisturising, non-greasy daily moisture cream that leaves the skin feeling beautifully soft and supple. Costs $21.95. 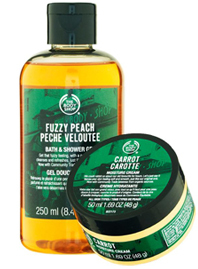 Available from The Body Shop. 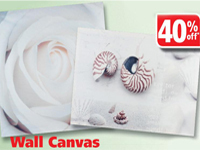 Painting canvases: Give mum a painter’s canvas so she can express her creativity. Costs from $2.79. Available from Go-Lo, Sam’s Warehouse, Crazy Clarks. 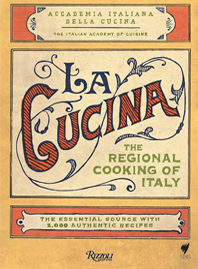 La Cucina- The Regional Cooking of Italy: The book has 2,000 recipes that represent traditional Italian cooking, created by the Italian Academy of Cuisine who document classic recipes from every region in Italy. Costs $76.99. Available from Angus & Robertson. 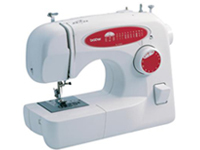 Brother Home Sewing Machine: This machine is ideal for alterations and basic garment construction and has a 4-step automatic buttonholer, 11 stitch selections and automatic bobbin winder. Costs from $179 (delivered). Available from Australia Post.